Kancha Illaiah flags the issues of caste, class and race, through this book. He effectively portrays the social, economic and historical characteristics of the lives of adivasis, cattle-rearers, leatherworkers, potters, farmers, weavers, dhobis and barbers. It provides a rich description about the science and art of their skills, so that readers understand the value of the work done by these communities that are considered ‘backward’. 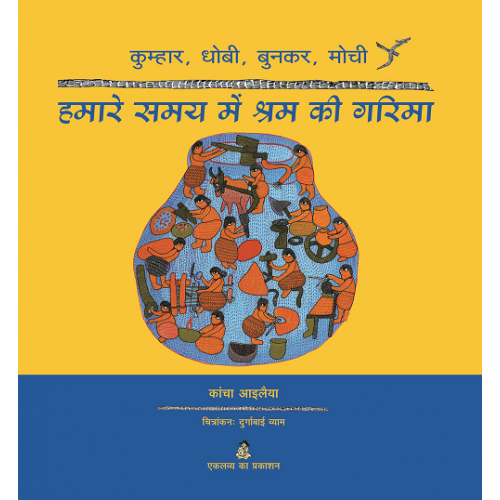 Illustrations in Gond art form enliven the dignity of labour. 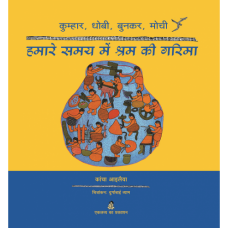 हमारे समय मैं श्रम गरिमा - for detailed reviews in PDF format click here .